I saw this story mentioned on my GoodReads' feed and, as I had had a surprisingly (to me) good experience reading Forster and I like the genre, I followed the link to a site where I downloaded the tale and had another pleasant read. The story takes place in an indefinite future when nearly all of humanity spend their lives in rooms that provide food, air and entertainment - the "Machine" of the title. There's almost no direct, face-to-face contact; people communicate through their screens. Some of the more adventurous may meet on infrequent airship flights but even here there's no physical contact if that can be helped. Vashti is a typical human of the era - physically, she's a "swaddled lump of flesh - a woman, about five feet high, with a face a white as a fungus" and spends her days listening to music or lectures and giving them (think of it like live 'blogs). One day her son, Kuno, calls and insists on physically meeting her so he can tell her something. It turns out that he's found a way to the surface of the planet, and has developed some decidedly unorthodox ideas about the Machine. So unorthodox he's been threatened with "Homelessness" - banishment to the devastated surface of the planet. Vashti is unable to deal with her son's heresies and flees back to her room. A few months later, however, her son calls again and leaves the enigmatic message, "The Machine stops," referring to the fact that the Machine is failing and there's no one left among the human race able to fix it. Ultimately, everything shuts down. In the final scene, Vashti stumbles out of her "dead" room into the pitch black halls where all the other denizens have fled to meet her son and die as one of the airships crashes through the complex. 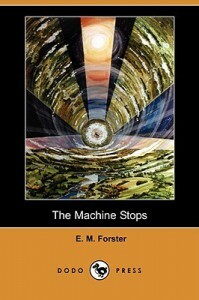 Like most dystopian (or utopian) literature, the world Forster evokes in "The Machine Stops" is reduced to an absurdly extreme logic but that's not the point. Forster's story raises some very serious issues about the role of technology in human life, and the danger that the draws of the "easy life" and a virtual world that's more attractive than the real will kill something fundamental about human nature. When the argument is "Let your ideas be second-hand, and if possible tenth-hand, for then they will be far removed from that disturbing element - direct observation. Do not learn anything about this subject of mine.... Learn instead what I think that Enicharmon thought Urizen thought Gutch thought Ho-Yung thought Chi-Bo-Sing thought Lafcadio Hearn thought Carlyle thought Mirabeau said about the French Revolution," society is in poor shape. I'm reminded of one of the most memorable scenes in Isaac Asimov's Foundation: The imperial ambassador to Anacreon and Terminus is discussing his archeological "research" methods with Salvor Hardin. 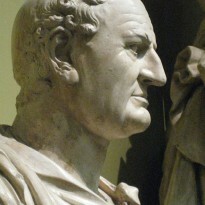 He reads the research papers of men who read the research papers of men who investigated the actual sites. The ambassador never once considers it worthwhile to actually visit those sites and conduct his own investigations. Why? There's no need since his ancestors already have done a much better job. I'd recommend this short story to anyone who's interested in dystopian literature or for anyone concerned about how the technology that makes life so pleasant for us is killing us spiritually or for the more optimistic technophiles who are, nevertheless, still concerned about the unintended consequences of "progress."